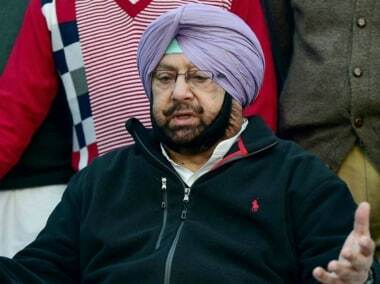 Chandigarh: Punjab Chief Minister Amarinder Singh on Saturday spoke to his Rajasthan counterpart Vasundhara Raje and sought her intervention to ensure a probe into the alleged assault on four Sikh men by a crowd in Ajmer in April. Describing the incident as "unfortunate", he told reporters that the Rajasthan government needed to fix culpability and ensure that the culprits were punished. A video, purportedly shot on 24 April, surfaced a couple of days back showing a crowd dragging four Sikh men out of a vehicle and thrashing them at Chainpura in Ajmer district. The Sikh men were reportedly 'sewadars' (volunteers) from a gurdwara in Alwar, who were collecting donations. The residents of Chainpura had alleged that the four men had molested their women. The police had taken them into custody but released them later saying they were not involved in any molestation. The Sikh men were reportedly asked by the police to file a cross FIR against those who had assaulted them but they refused to do so. 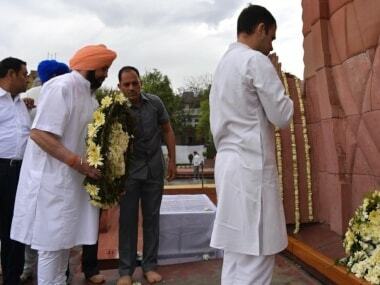 Singh expressed concern over media reports that there were "efforts" to give the incident a "communal" hue. He also expressed dismay at the fact that the local police was not even aware of the incident till the video surfaced and said he was "shocked" at reports that a police constable, who arrived at the spot subsequently, "instigated" the crowd to "teach the Sikh men a lesson", instead of coming to their rescue. Singh said he had urged the Rajasthan chief minister to ensure a thorough inquiry into the incident and stern action against the constable if found guilty. He added that even though the Rajasthan State Minorities Commission had reportedly taken cognisance of the video and sought a police report, a "strong signal" needed to be sent by the state government to the perpetrators of the violence. The fact that the victims were 'sewadars' and had stopped at Rajgarh village in Ajmer district to collect alms made the incident even more condemnable, the chief minister said, adding that such "intolerance" had no place in a civilised society and any "attempt to create communal strife" should be nipped in the bud.